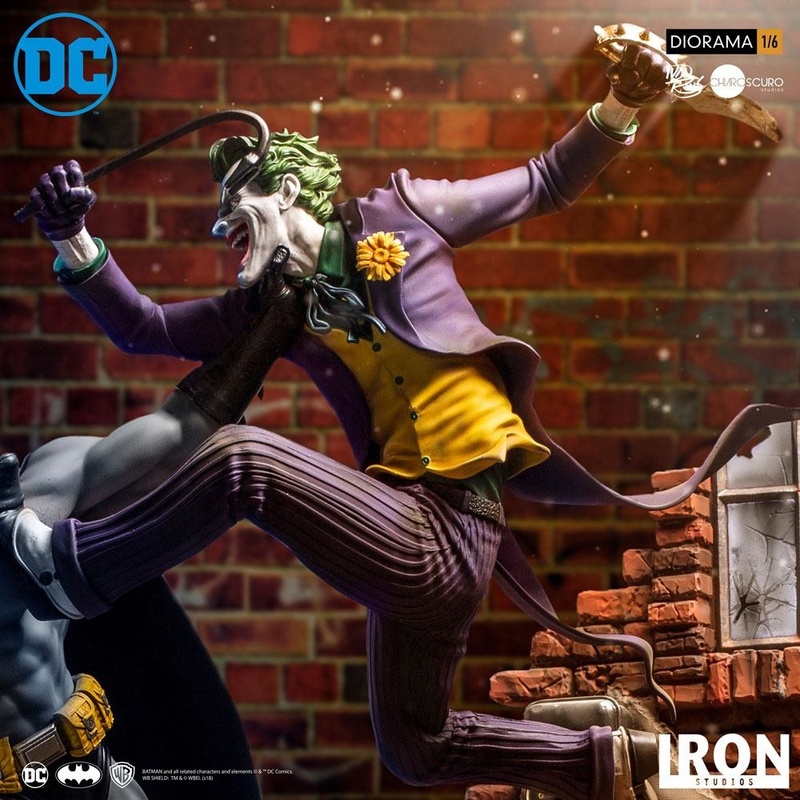 Unlike many other superheroes, Batman has no superhuman power, using only intellect, investigative skills, technology, and a body trained and prepared for the war agaist crime. 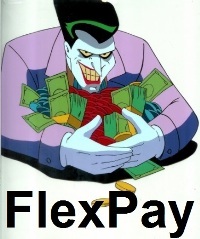 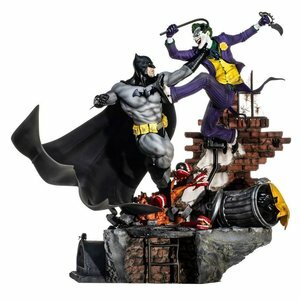 Joker is one of the greatest comic book villains of all time, and the greatest archenemy of Batman. 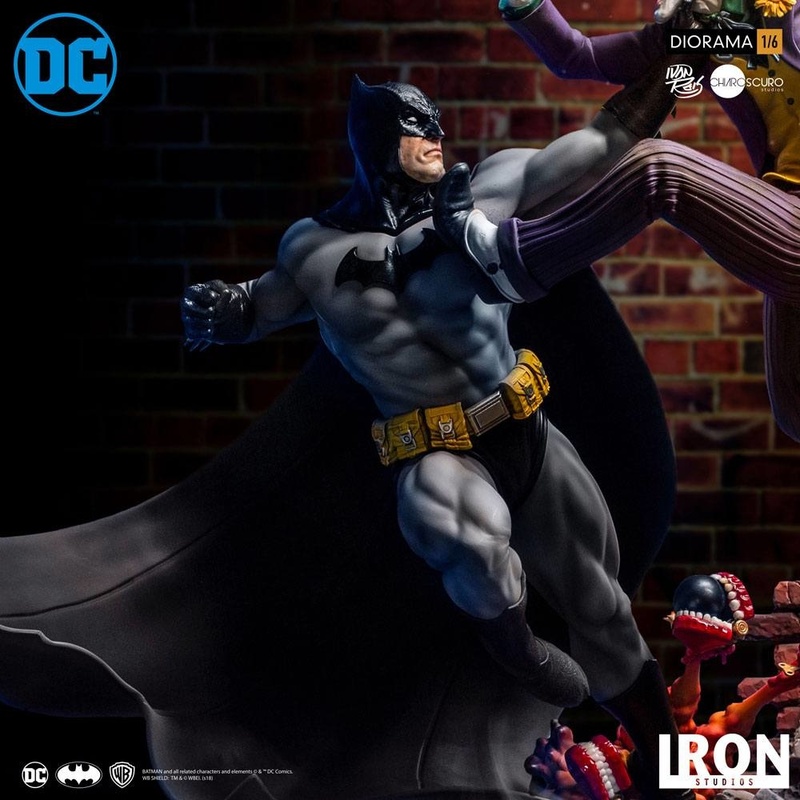 Created by Bill Finger, Bob Kane and Jerry Robinson inspired by actor Conrad Veidt in the 1928 film "The Man Who Laughs", psycho and always smiling, made his debut in Batman # 1 of 1940. 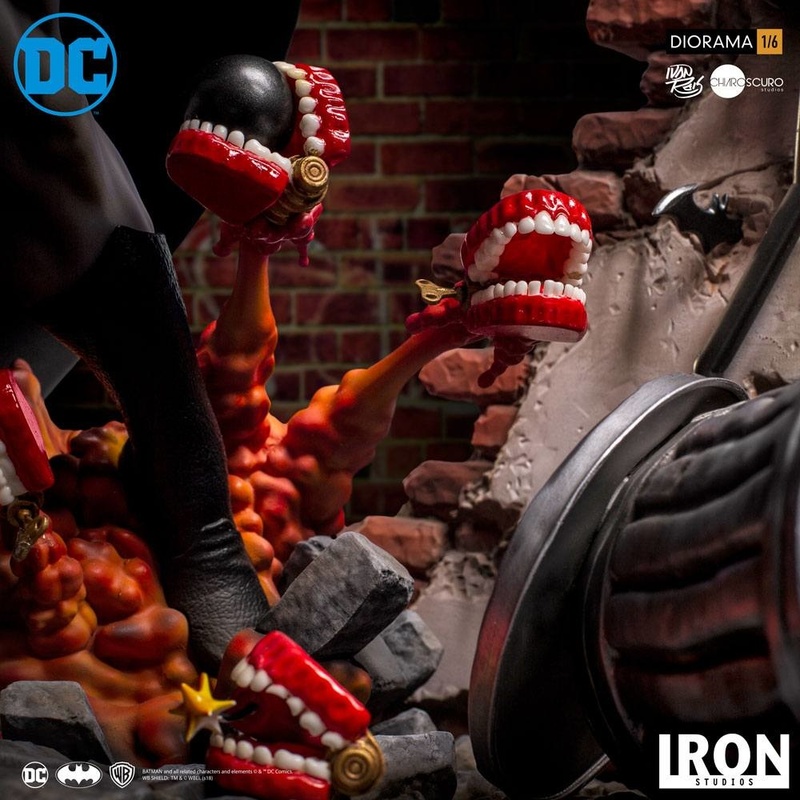 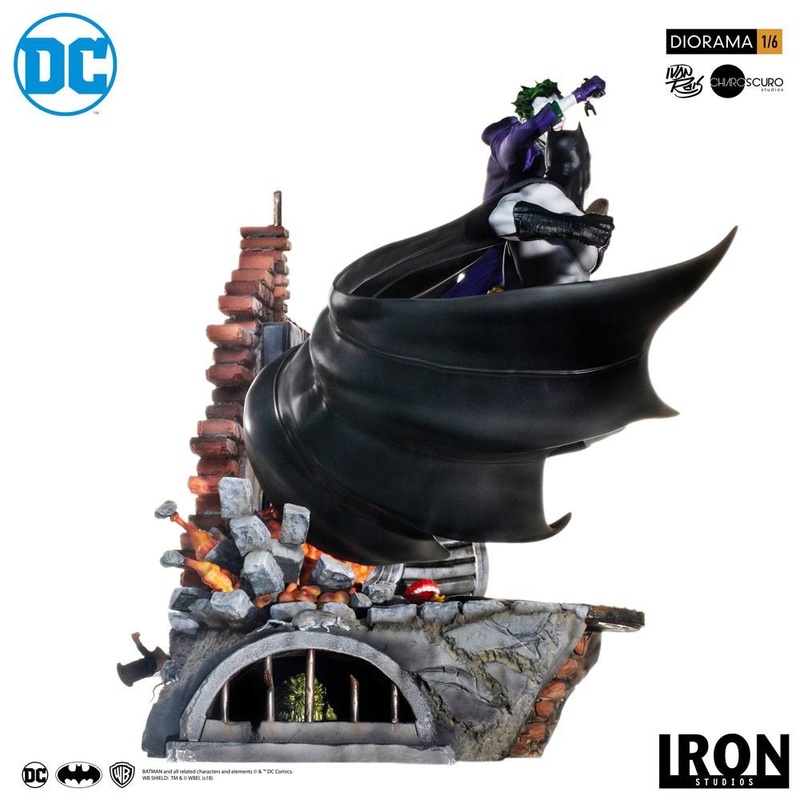 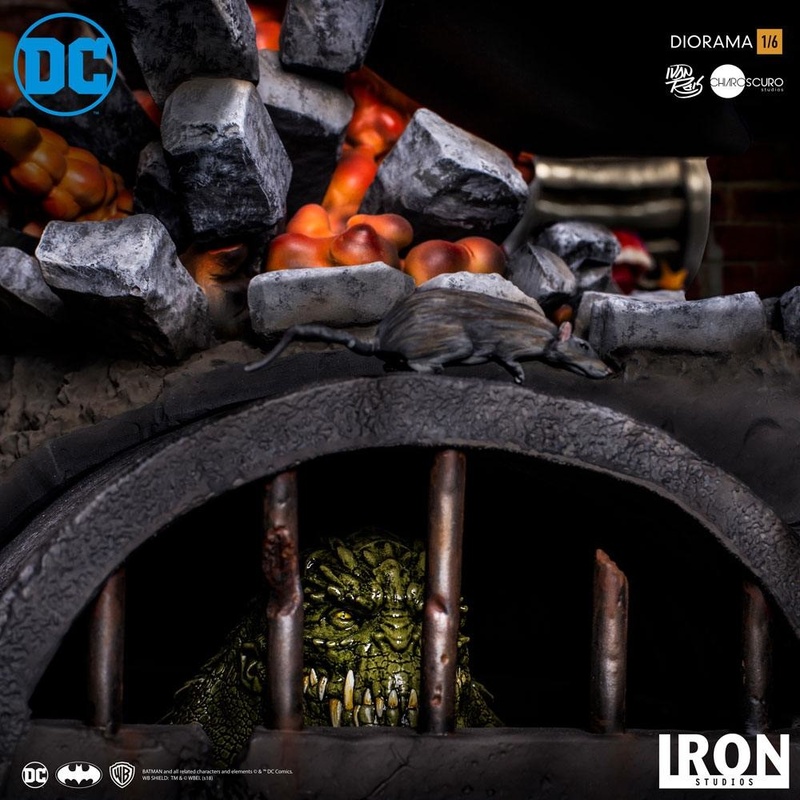 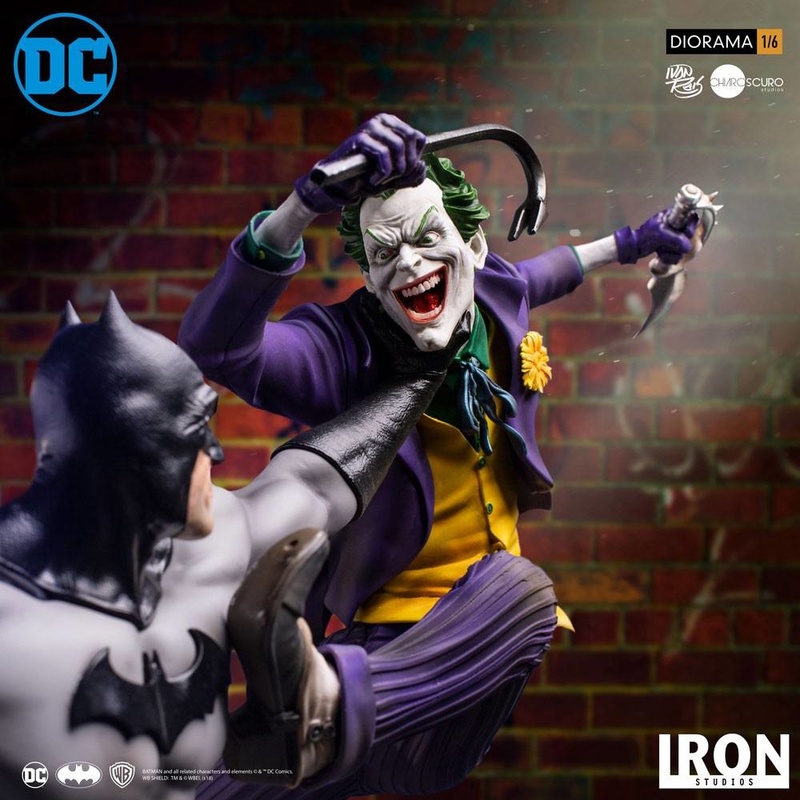 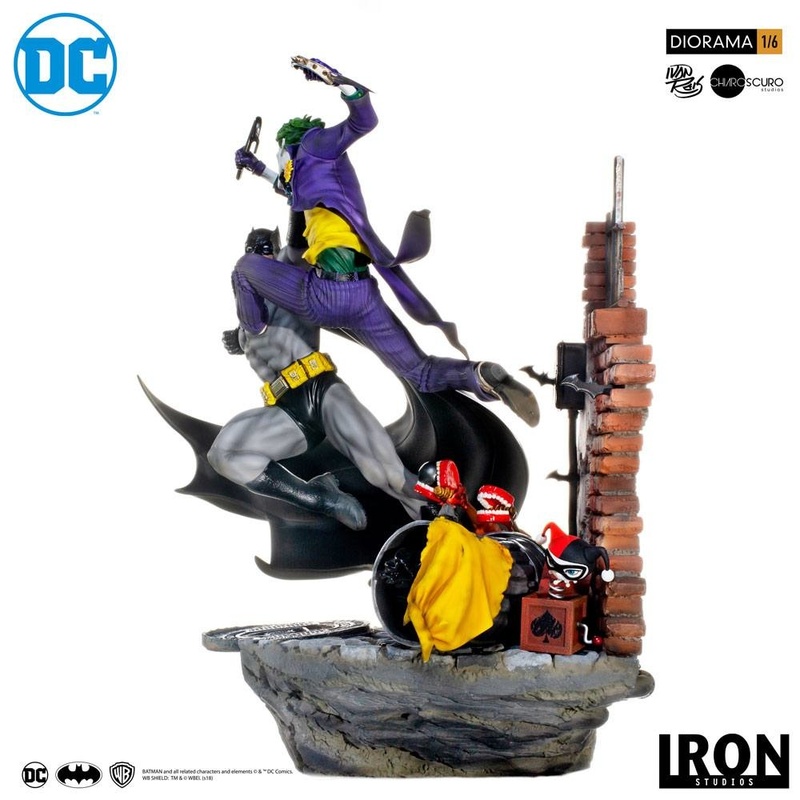 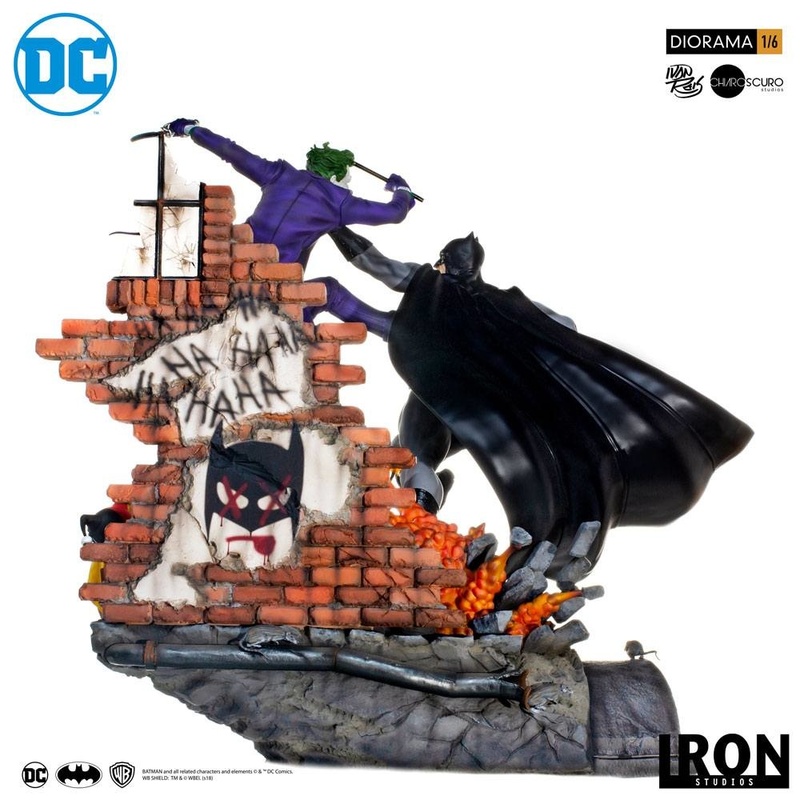 This highly detailed 1/6 Battle Diorama by Iron Studios with design by Ivan Reis captures the endless fight between the Bat and the Clown, in a dynamic and ambitious scene. 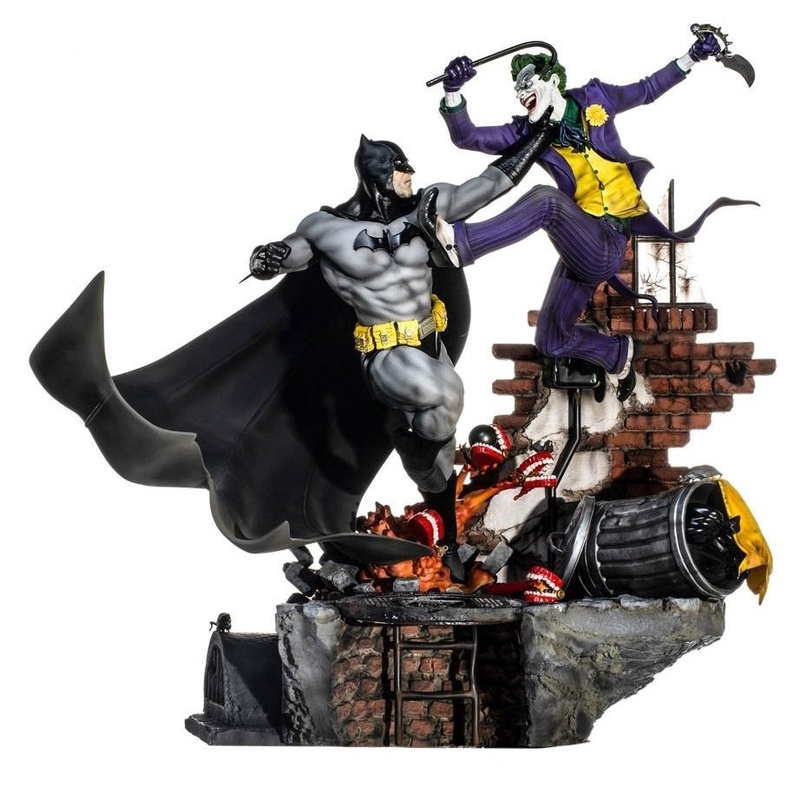 This clash on an alley also hides a very special easter egg that the Batman better be prepared for.